You probably know that the pineapple is the symbol of hospitality. But do you know how and why it came to be so? Here's a great article I found from Southern Living explaining all the ins and outs of the pineapple's journey to becoming the hospitality symbol. 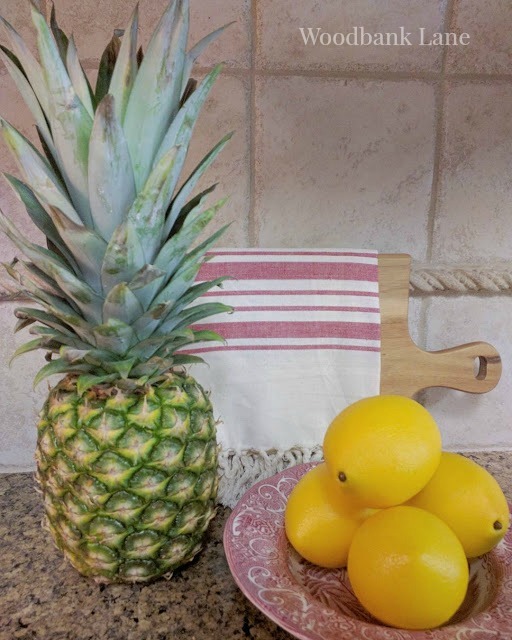 After reading it, it's easy to understand why the pineapple, in every size and color, can be found on store shelves, clothing items, household items; just about anywhere you can imagine. Here are a few fun examples. 1 - The teacher in me loves this back pack from Jansport. 2 - And you never know when Pine Apple Duck Tape will come in handy. 3 - Alex and Ani bracelets... Here's the pineapple version. 4 - Salt and pepper shakers from Mudpie. Look how cute for summer! The pineapple rug from Caron's Beach House. For sunning, how about this adorable suit from Cupshe. 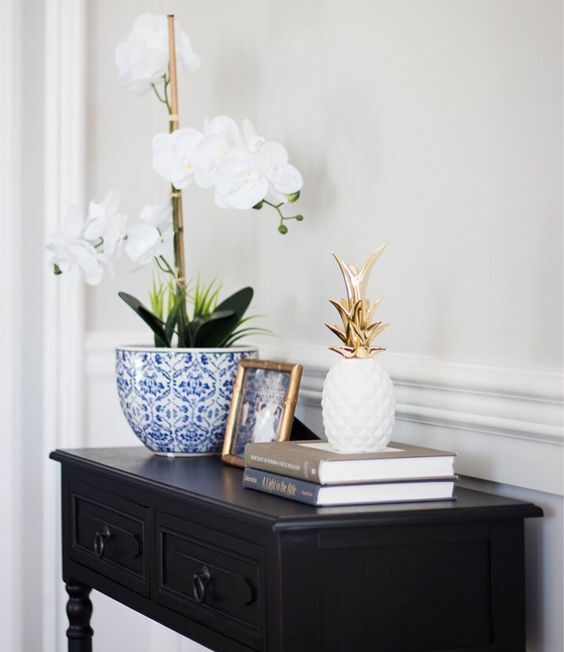 And finally, enjoy these pineapple vignettes, decorating ideas, and inspiration from around the web. Thanks to the pineapple for inspiring this post. 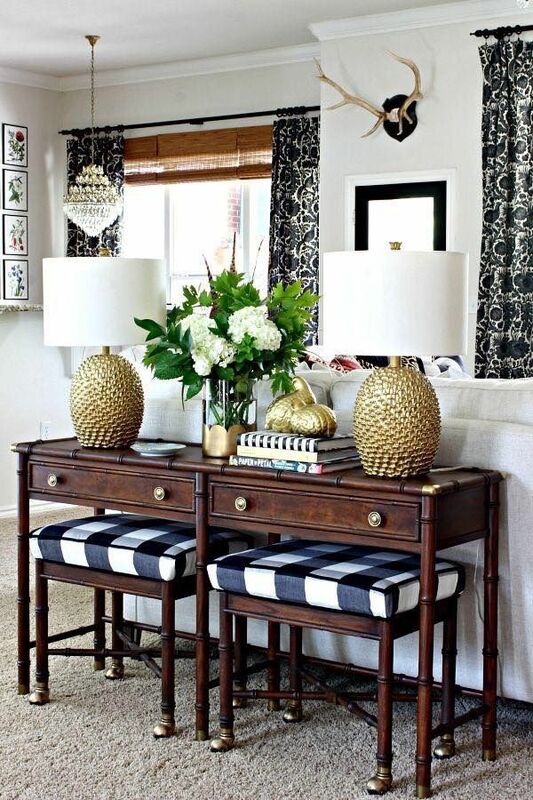 :-) Do you have any pineapples in your home? 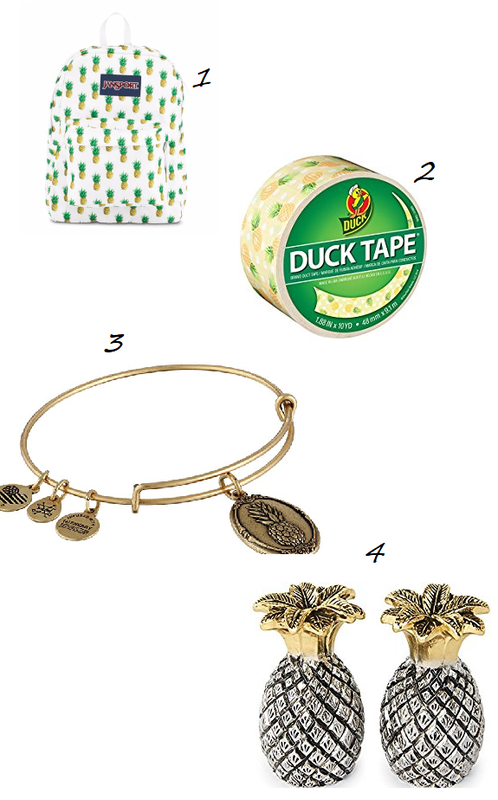 Great post Kathryn-I love pineapples! I might need to get my daughter that adorable backpack! Thank you and thanks for your comment! Have a great day.